You have finally walked across the stage, shaken hands with President Judy Genshaft, and received your diploma. Many graduates plan to continue their education in graduate or professional school. There are many reasons to consider furthering your education right away, but what if you’re not ready for that step yet? In today’s post, we’ll discuss possible options that you can consider until you’re ready for grad school. When you graduate with your undergraduate degree, you will likely pursue one of two paths: furthering your education or entering the workforce. While some students go straight to grad school and others may have plans of returning to school later, the vast majority of students choose to immediately begin working in entry-level positions. Entering the world of work allows you to begin using your degree instantly. You’re able to gain experience and continue to build on the essential skills that you developed in college. You’re also able to start establishing yourself financially, and while this isn’t impossible to do in graduate school, it may be a little easier to do. Entry-level jobs also help you understand the industry that you have decided to work within. You can learn from your supervisors and coworkers, ask questions about how upper management makes their decisions, and continue to build your professional network in ways that can help you advance your career. Learning the ins and outs of the company and industry that you work within can help you determine whether or not furthering your education may be the right choice for you and can help you select an appropriate program of study. If you’re considering an entry-level position, check out our Spring 2018 Career & Internship Fair Week. Employers will continue to register up until the week before the first fair on January 31, 2018, so mark your calendars now! Myth: Internships are only for current students. Fact: Many companies accept recent graduates into their internship programs on a track toward full-time employment. If you focused on your studies during your undergraduate years, a post-graduate internship can help you get some work experience on your resume. This allows the company to test your essential skills, like professionalism, teamwork, and communication and gives you an opportunity to see if you like the position and company before you agree to a full-time role. To find these opportunities, you can attend our Spring 2018 Career & Internship Fair Week, but you may want to check out our other employer events as well. On November 14, we have an Industry Networking Night event for the Financial Services Industry, which will allow you to meet with representatives from a few companies all in one place. You don’t have to be a business or finance major to attend, but you should have an interest in working within the Financial Services Industry. You can check out all of our opportunities to meet with employers on campus in Handshake in the Events and Fairs sections of the site. You can also use Handshake to do research on your own to see which companies have internships available for seniors or recent graduates. Graduate and professional schools are not the only places where you can pursue post-graduate education. Trade schools are institutions that are focused on teaching their students a particular skill or about a specific industry. These include art institutes, technical schools, and specialists schools. You can also consider pursuing a certificate program. These are often offered at colleges and universities and are less intense than graduate programs. They may be less expensive, require fewer classes, and take less time to complete than a traditional Master’s degree. Certifications are offered for a variety of different subjects or technologies. If you’re planning to work in a technology-driven industry or role, you can get certifications for Adobe, Microsoft, and Google, to name a few. For both trade schools and certifications, be sure to do your research about what is offered, how much it will cost, how long it will take, and whether or not it will benefit you in your industry. If you need help considering this option or beginning your search, schedule an appointment with your Career Consultant through Handshake. 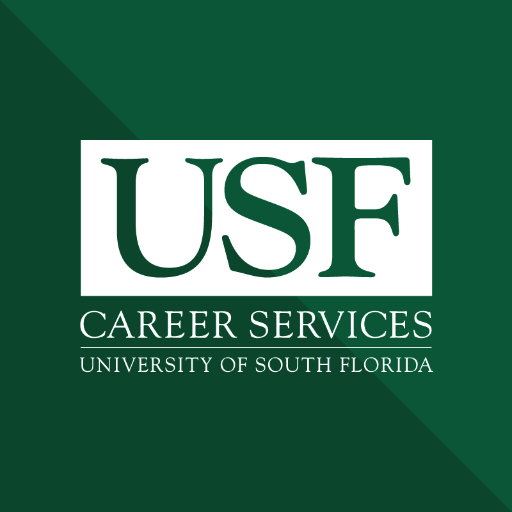 If you take time off between graduating with your undergraduate degree and pursuing graduate school or entering the workforce, you may get some questions about what you did with that time during the interview process for your future program or job. Rather than going back home and working in a part-time job (a trap that Don Asher says you may not escape from! ), consider taking time to explore your interests. A common option is to travel domestically or internationally. Even though it’s something a lot of people do, you can use this time to help you narrow your interests and solidify your passion for the field that you enter when you return, so don’t be afraid to talk about your unique experience during interviews. If you absolutely have to return home, but still plan on going to graduate school or entering the world of work later, make your time off count. You may need to have a part-time or even full-time job to help make ends meet and begin paying off student loans if you have them, but you should also consider getting involved in your community. Volunteering can be a great way to demonstrate to a future program administrator or interviewer that you have passion and drive. If you can find volunteer opportunities within an area that you plan to continue to study or work, this will give you some great hands-on experience that can make you stand out during the application process.